We all know very well that the PlayerUnknown’s Battlegrounds, also known by the acronym PUBG, is the most played game on Steam and smartphones. Hence, now according to the latest reports, recently, PUBG (PlayerUnknown’s Battlegrounds) is now available for PS4 (PlayStation 4). The well-known multinational video game and digital entertainment company, of course, I am talking about Sony Interactive Entertainment who has recently announced that PUBG (PlayerUnknown’s Battlegrounds), the well-known online multiplayer survival game is now officially available for PlayStation 4 both in the physical version in the usual outlets and in a digital version through PlayStation Store. The news has been accompanied by the launch trailer of the title, which shows a funny sequence of shots that try to resemble the mad games. With the characteristic and popular game format like PUBG nowadays known as “Battle Royale” games in a single word. Now if we talk about the well-known battle royal game PUBG then basically this well-known survival game simply offers an intense multiplayer experience in which up to 100 players can fight among themselves in a huge battle map with the sole objective of surviving and being in the first position simply to win the battle. Basically when the game starts players simply parachute into an extensive combat zone that they have to quickly explore simply to raid and obtain the best tools and weapons simply to increase their chances of survival. Hence, the guns, rifles, shotguns, first aid kits, flashlights or ammunition, everything that the players find in PUBG will simply help them to stay alive or survive as the game progresses and the map gets closer. In this sense, well-known battle royal game, of course, I am talking about none other than PUBG offers a total three different maps, a multitude of vehicles with which you can move or commute quickly and in this game, you will simply get three game modes: single, double and four players. Moreover, all the PS4 players who log on to PUBG now will automatically get a digital parachute for their character inspired by the iconic blue color of PlayStation. 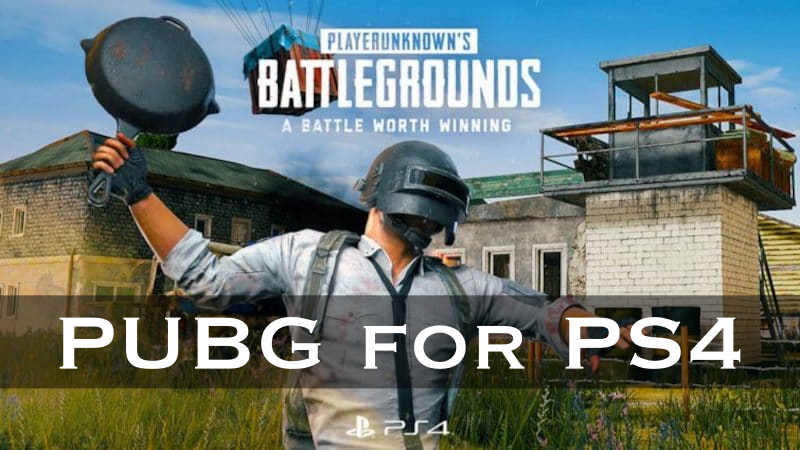 The well-known battle royal game PUBG for PS4 will be available for the price tag of Rs.1999 (Hard Copy), the digital version of the base game will be known as the PUBG Looter’s which will cost Rs.2750, the Champion’s Edition will cost Rs.3999, and the Survivor’s Edition will cost Rs.2750. So, what do you think about this? Simply share all your views and thoughts in the comment section below. Nice Post , Keep It Up! !